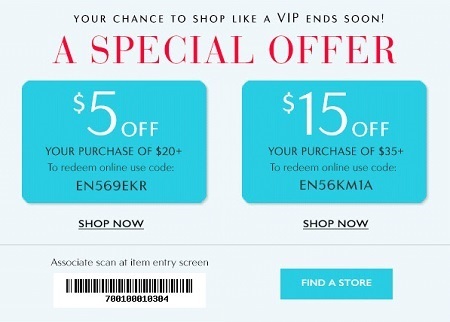 You have an unique chance to save up to $15 off your purchase. Take $5 off your purchase of $20 or more. Or, take $15 off your purchase of $35 or more. To receive this amazing offer in-store use a printable coupon, to receive it online use promo code. Source of the information is Charming Charlie. For more details visit your nearest Charming Charlie store location. Offer is valid until May 31, 2016.